When it comes to building a cracking cocktail menu, there are plenty of things to consider. 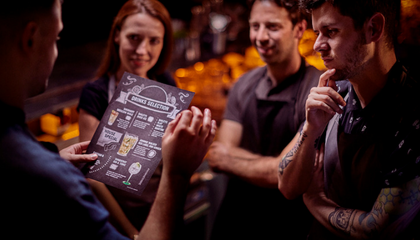 So, whether you’re starting from scratch or updating your offering, here are a few must-read tips from Diageo Bar Academy trainer, Kris Jadach, on creating the perfect cocktail menu. 1.Do your research – What are your competitors doing? If it’s working for them, how can you improve on it, and if it’s not, how can you avoid the same mistakes? Is there demand for innovative, experimental cocktails in your area or would classic cocktails prove more popular? Take inspiration from others and establish what customers are looking for but ensure your menu is unique and don’t be afraid to take a few risks. 2.Nail your recipes – What type of cocktails are going to feature on your menu? Are they each going to be standalone or part of an overall theme? Do they fit in with the tone and style of your venue? If you’ve done your research and you know there’s a demand for original and exciting cocktails, this is an area you can have a lot of fun with! 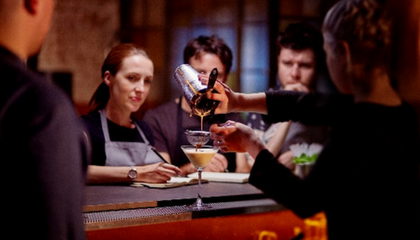 3.Involve your team – Can every member of your team make the cocktails on your menu consistently, correctly and quickly, or will they need any additional training? Ask your staff for their input during the process – they’re more likely to give a menu their seal of approval if they’ve been involved. 4.Keep it profitable – After you factor in the cost of ingredients, labour and any other overheads, are your drinks actually generating a profit? Source ingredients locally where possible to keep costs down (and reduce your carbon footprint) and monitor wastage carefully. Check out our handy profitability calculator to find out which cocktails are driving the biggest profit in your venue. Great menus make customers want to pick them up, touch and read them, so it’s usually worth getting them professionally designed. Even if guests don’t intend to order a cocktail when they walk in, a good menu can change their mind. Naming your cocktails is undoubtedly one of the best parts of building a new menu! A good name gives a drink character and adds to its appeal, making it stand out on your menu. Keep it literal – If you’re stuck for inspiration, stating the key ingredients or flavours is always a good option. A simple mango daiquiri or grapefruit and thyme Collins is descriptive and informative. Location, location, location – Highlight the origins of your ingredients or incorporate the name of your venue, such as the Clover Club or the Bristol ice tea. Get to grips with your history – Historical events or people can provide great inspiration for cocktail names, for example the Hemingway daiquiri or the French 75. 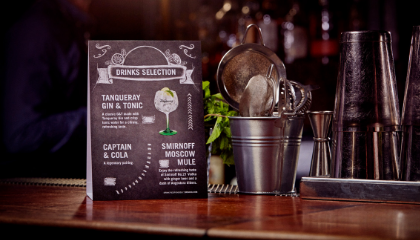 Make it personal – Draw from your own experiences and memories to give your cocktail names a very personal touch. Keep it simple – Studies show that removing currency symbols and ending prices in .99 or .95 instead of .00 makes customers less likely to focus on the cost. Think about positioning – Rather than writing prices in a column from lowest to highest, randomise your prices and put them next to the drink name or description in the same font. Mixing up the layout makes guests think less about money and more likely to choose something they’ll enjoy rather than the cheapest option. Highlight your profitable drinks – Draw attention to your most profitable cocktails by separating them or putting them in a box. 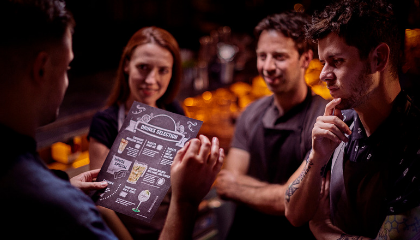 Indicating that a drink is “recommended by our bartenders” or “best seller!” can have a huge impact on sales. Champion one cocktail – Drawing attention to one particular drink can reduce choice overload by creating a default option for indecisive drinkers. Use the messenger effect – Joe the bartender loves that drink? Add that information to your menu. Your bartenders are the authority figures in your venue and their recommendations carry a lot of weight. 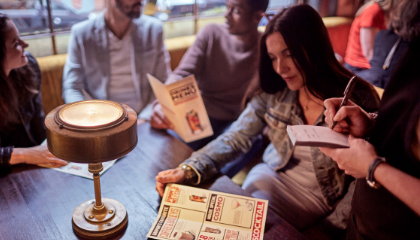 Create a social norm – Indicating which drink is the favourite in your city or venue will make customers more likely to order it. The more localised the social norm, the more effective it is. You’ve built the perfect menu, now you need to fill it! 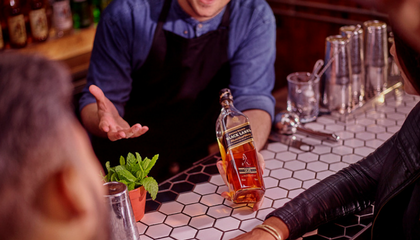 Sign up to Diageo Bar Academy today for unlimited access to all the latest recipes and serve inspiration from some of the biggest names in the industry. Rob Poulter focuses on the right approach and the necessary knowledge you need to make sure your customers come back time and time again. 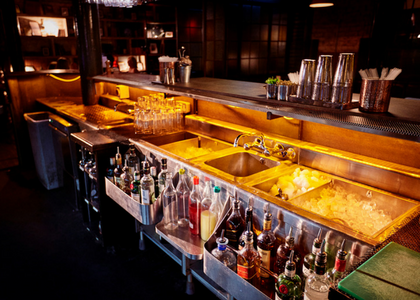 Well-organised workstations are the key to serving customers quickly, and the best bars will be visually appealing without slowing down the bartenders working behind them. Paul Martin, award-winning mixologist and trainer reveals his top tips to kick your career up a notch, no matter what level you are in the industry.